The Fantom Wallet by Ansix Designs stays slim even as you pack it with cards and cash. There’s a reason so many wallet projects flock to Kickstarter. A lot of people carry wallets — and everyone seems to be irritated by at least one feature that doesn’t work for them. A group of mechanical engineers out of Canada think they have come up with a design that’s sure to satisfy any wallet user trying to avoid pocket bulk and identity theft. The Fantom, the latest wallet design to come to Kickstarter — as of Wednesday morning, anyway — shuns traditional materials and forms for a futuristic case that holds credit cards, cash, coins and yet somehow remains slim. 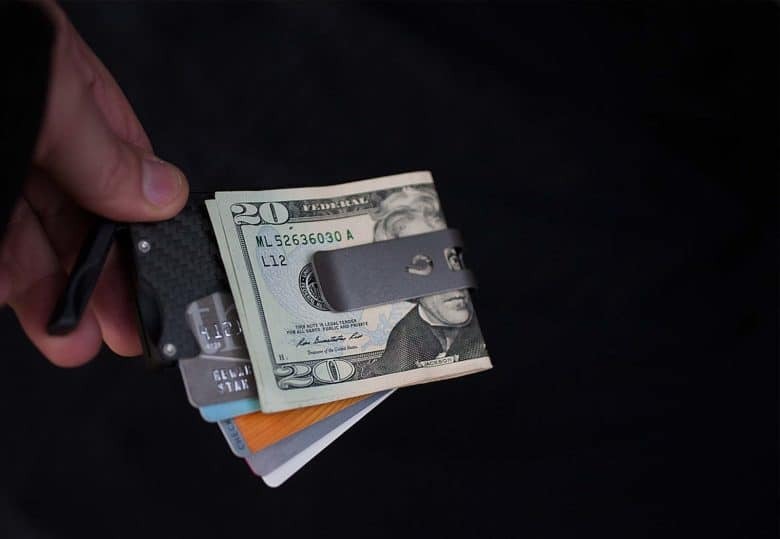 The Fantom Wallet, created by Ansix Designs out of Vancouver, Canada, is a sleek sheath made from carbon fiber or aluminum that fans out your inventory of credit cards with the flick of a tiny lever on one end. The Fantom comes in three sizes, depending on the number of cards you carry and a range of custom features that can be added, such as a money clip or a special compartment that can hold coins, a spare key or SD cards. 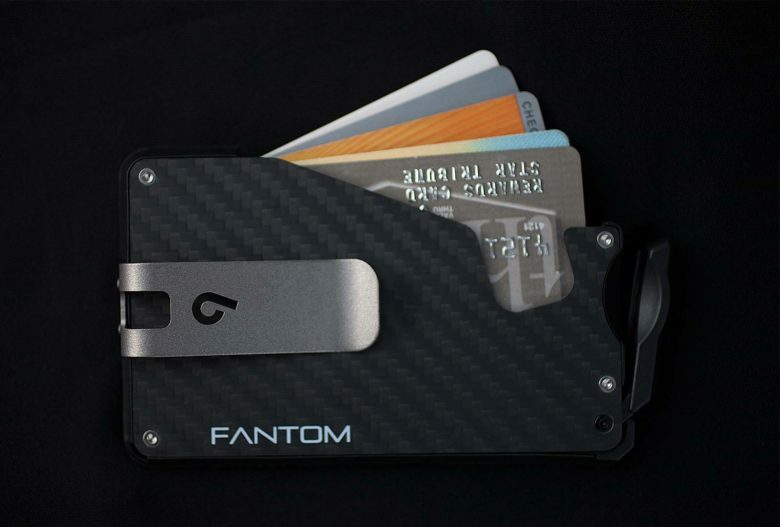 The largest Fantom carries up to 13 cards and comes in four anodized aluminum colors or a charcoal carbon fiber model. All models have RFID/NFC blocking, reducing the risk of your bank or credit card information getting copied by skimming devices. This is not your father’s wallet. It may be better. There are more than 4,000 projects seeking crowd-funding at any given time on Kickstarter, and the Fantom brings the current number of wallet designs to 21. Writing on the Kickstarter blog, Nitsuh Abebe said wallet projects are a perennial on the site, in part because it is a seemingly simple way for young designers to learn the chain of steps in the production process, from design to distribution. Some of the more successful wallet projects led their creators down paths to creating more ambitious projects, Abebe wrote. But Abebe says wallet projects can be successful because wallet users are always looking for a better way to carry cash and cards. That said, Ansix Designs accepts that challenge. But by no means is the group of Canadian mechanical engineers new to Kickstarter — or the success of bringing new products to market. Founded less than three years ago, Ansix achieved success with two photography accessories, one a storage rack for lenses and camera bodies, the other a set of quick-changing lens caps that use Velcro to secure to the inside of camera bags. 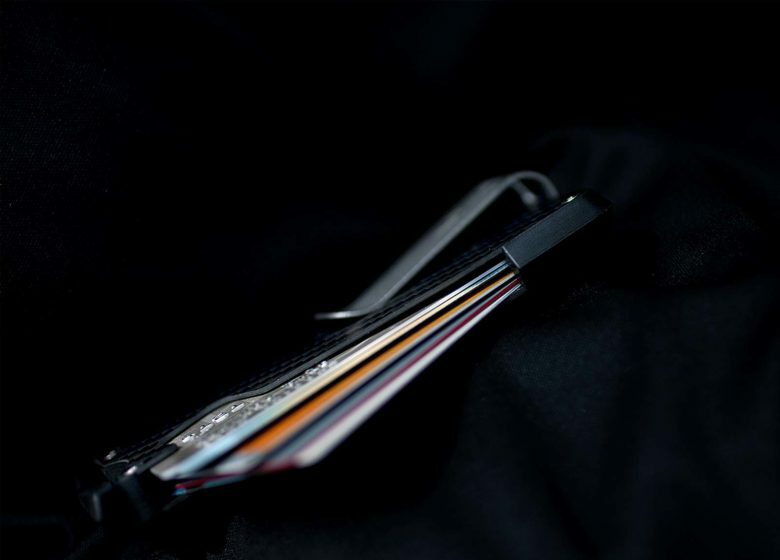 Ansix Designs will customize your Fantom wallet, adding a money clip or change compartment. Ansix sent me a pre-production model of the Fantom 7, a carbon fiber wallet that holds seven cards. It also has a clip for cash, a feature that customers will have to purchase separately. It was perfect for me, a city dweller who prefers to stow the wallet in a front pocket. Even with a driver’s license, two credit cards, a library card and gift card, the Fantom remained light. What surprised me was that even with the money clip on the outside, the Fantom was thinner than my usual leather front-pocket wallet. Even with the clip, the Fantom maintains a slim profile. The cards fit into a quick-release slot and fan out like a poker hand so a user can easily identify and pick the right one. Even as they stick out of the wallet, the cards remain secure and not at risk of falling out. 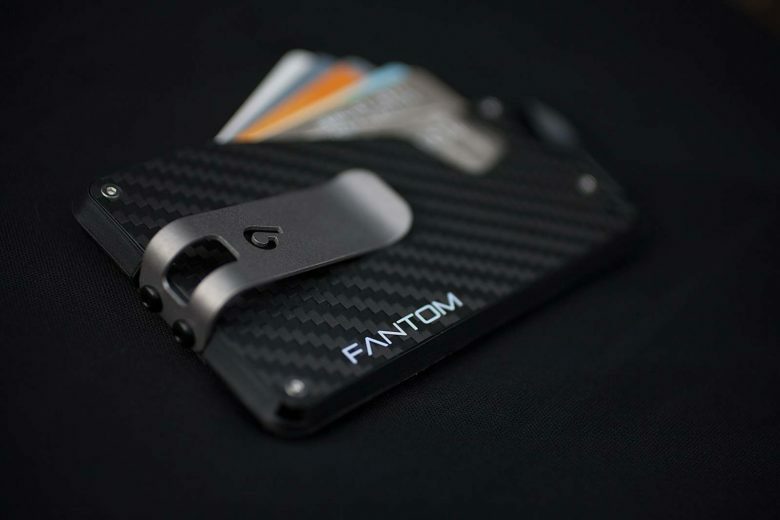 The Fantom wallet starts at $49 on Kickstarter.